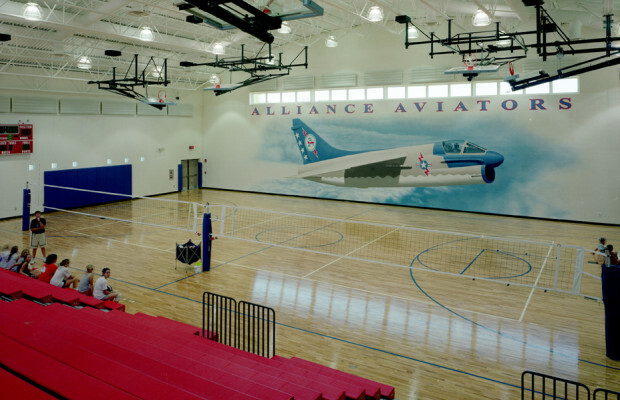 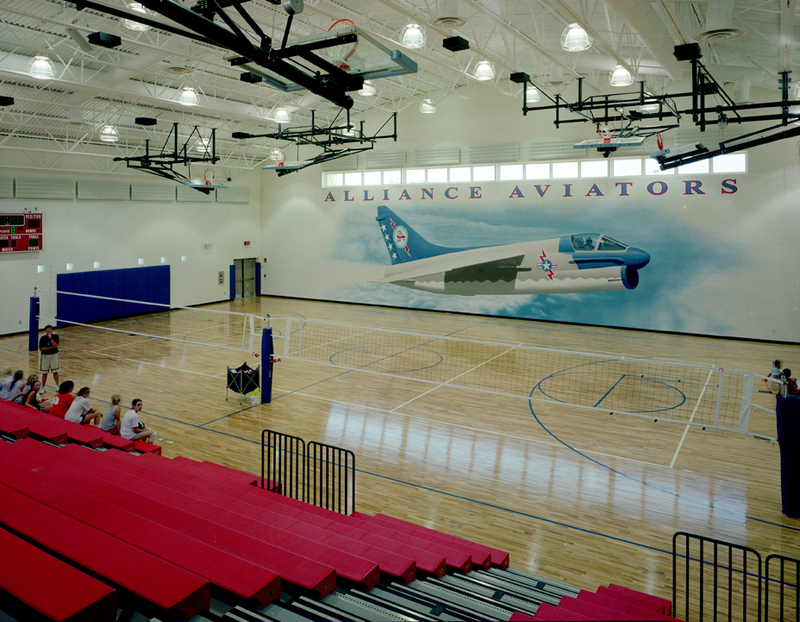 Alliance Middle School | BSHM Architects, Inc.
Students study in three houses for grades 6, 7 and 8. 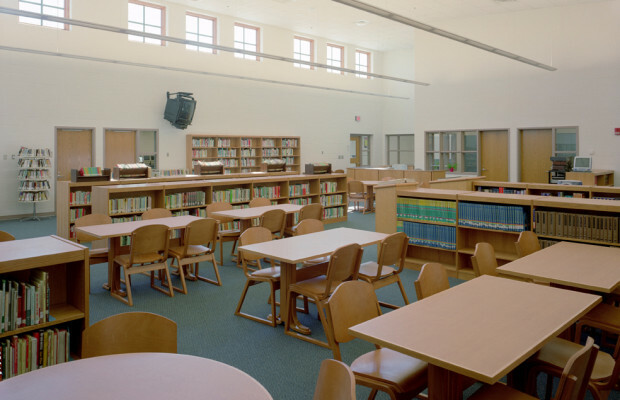 A central core area contains administration, a large media center, music and art classrooms, physical education spaces, dining and building services. 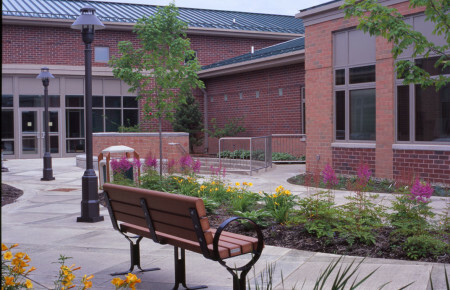 Each building is self-contained with its own areas for special education, science, teacher planning, material storage, guidance office, staff and student restrooms. 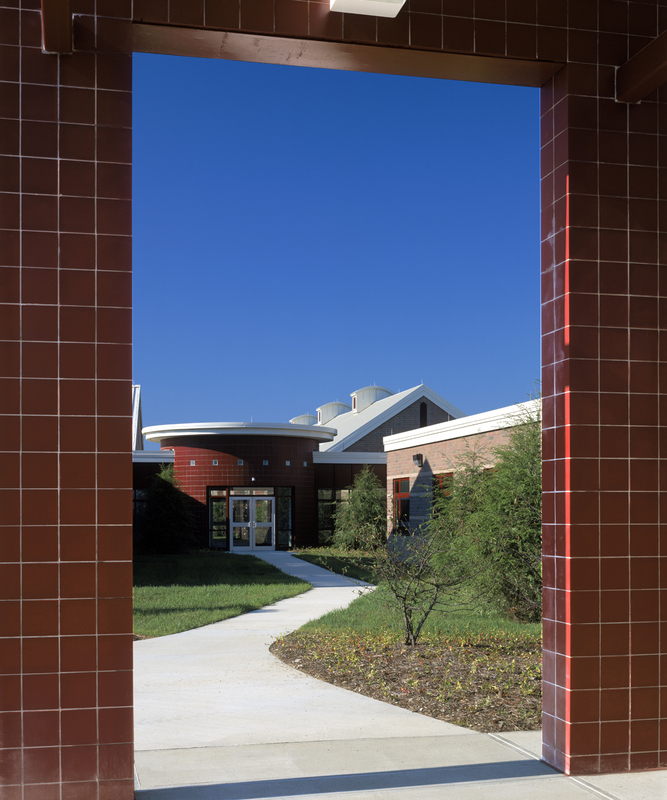 The 6th grade house is an extension of the core area, separated by an enclosed courtyard. 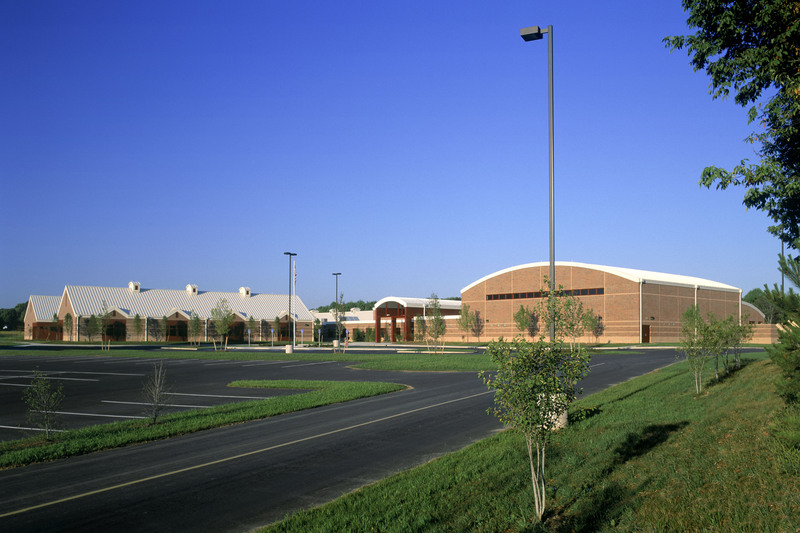 The 7th and 8th grade houses are connected to the core area by glazed nodes which are exit points for dismissal. 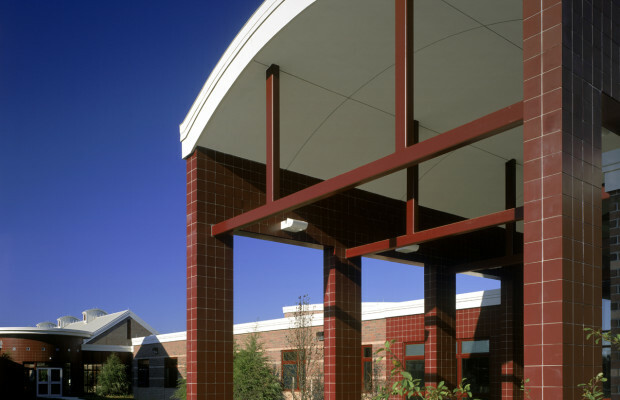 Standing seam gable roofs, dormers, cupolas and brick detailing give a residential scale to the classroom areas. 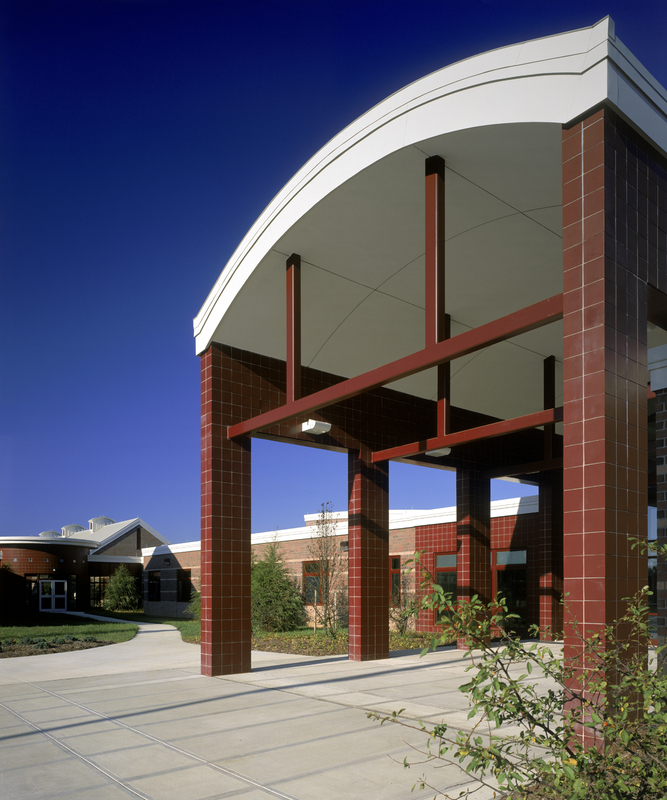 Judicious use of window areas, building proportion and roof shapes keep this 110,500 square foot, one-story building in scale with the surrounding neighborhood. 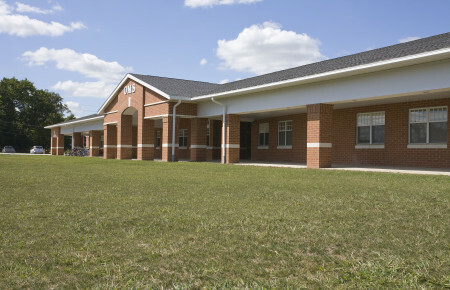 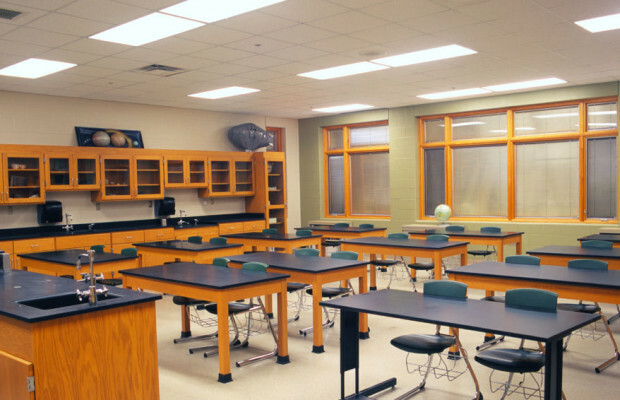 This middle school houses students in grades 6, 7, and 8 in three self-contained “houses” each house has academic classrooms, special education, science and faculty areas. 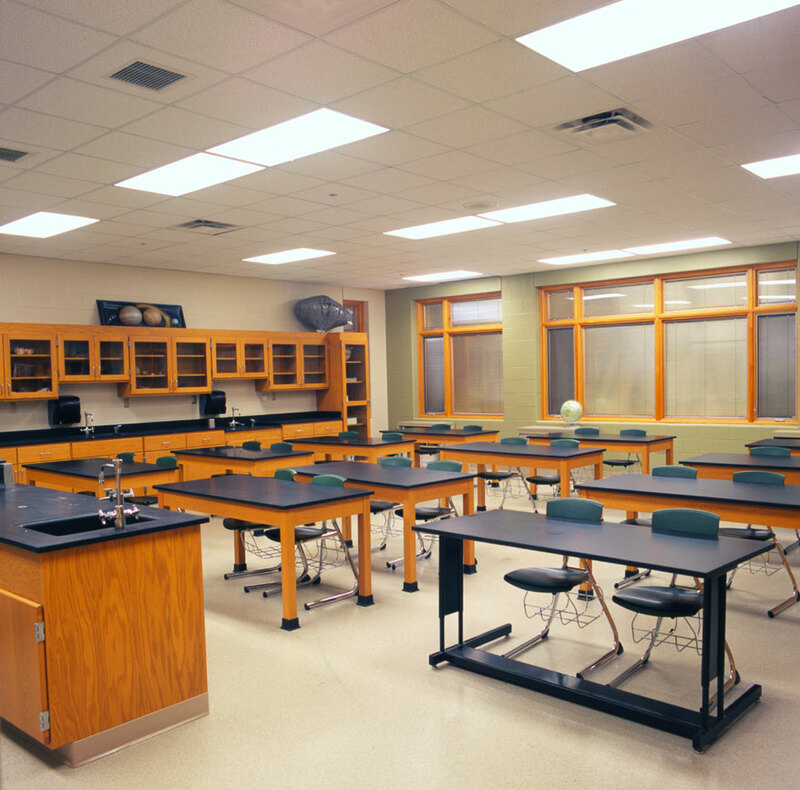 In addition, there are administrative staff in each house. 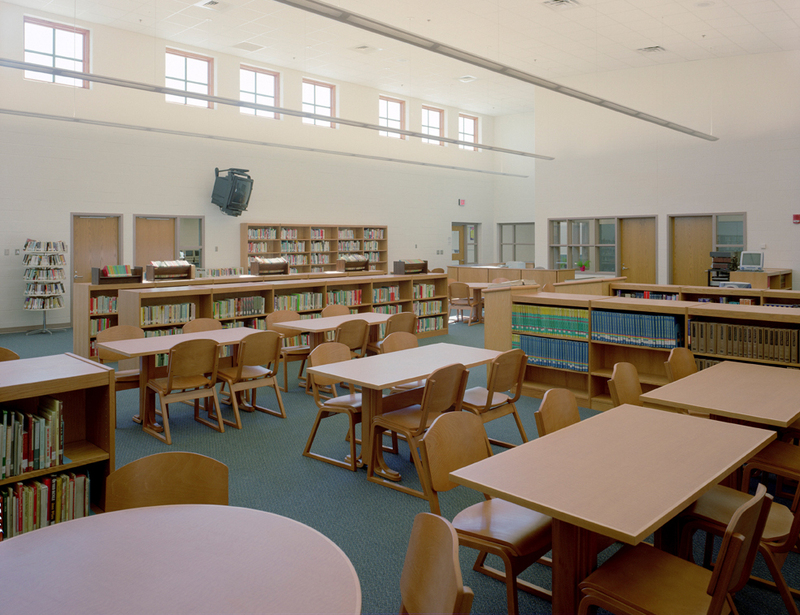 A general core area contains the balance of the administrative staff, a large media center, music, art, dining and physical education. 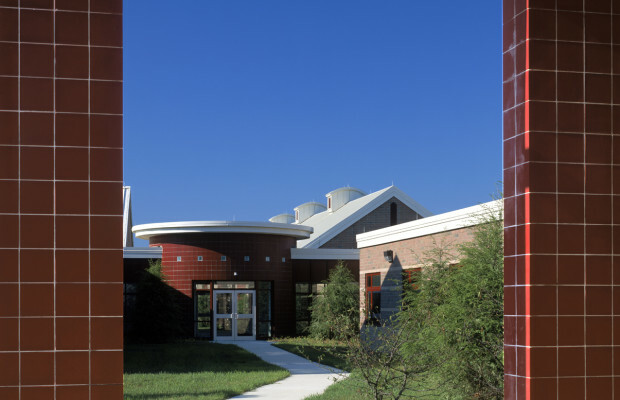 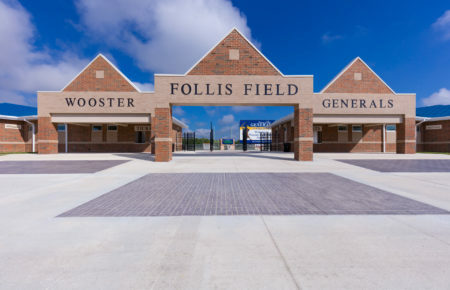 The exterior utilizes standing seam gable roofs, dormers, cupolas and brick detailing to reduce the scale of this large school. 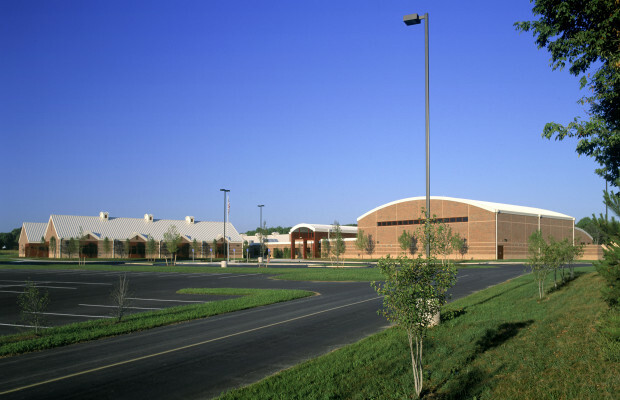 The school opened in August of 2003.